When was the last time you looked at your business window display? Have you been thinking about new ways to grab people’s attention? Do you want to give your office building a new look? SpeedPro Imaging Portsmouth can help you do all of the above and more. Our studio centered in Portsmouth can design and print custom business window graphics for your business and branding needs. No matter if you only have a glass front door or a dozen windows lining the block, we can increase your visibility to the public. If your organization or business is located around Boston or the coast of New Hampshire, reach out to our studio to get started today! 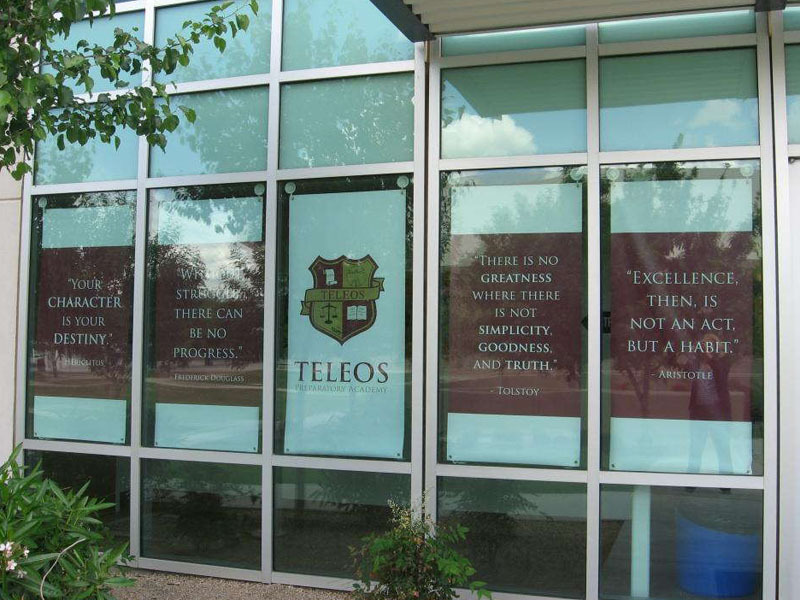 The goal of window graphics is capturing the attention of someone nearby and inviting them inside to build a connection. Window graphics can be your first point of contact with a customer, so making a top-notch first impression will be achievable through developing some visual representations of your brand. You’ve likely experienced this yourself too. How many times have you visited a new mall or walked down a city street and not even looked twice at or into a storefront to see what was happening inside? That’s not something you should want for your business! Instead, you want people to be captivated by just a peripheral look, which invites them to come closer and see what you have to offer. 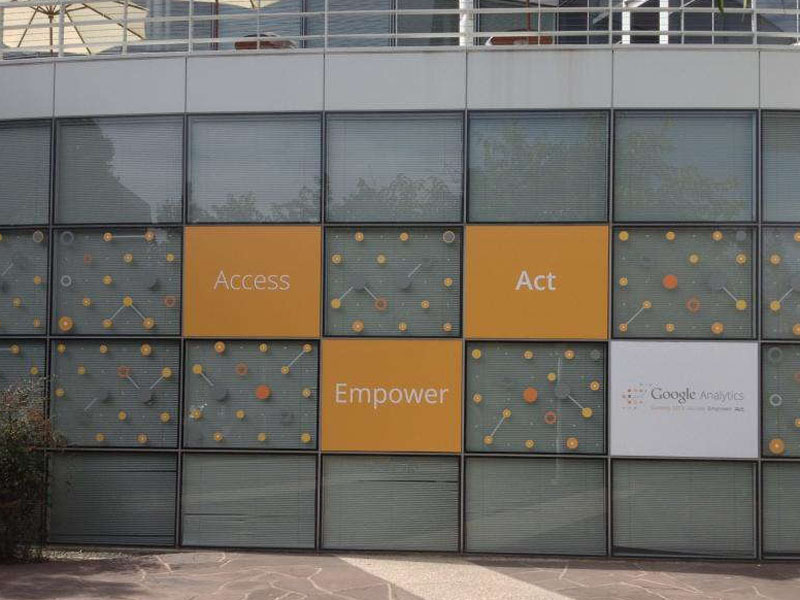 Perforated window film is one of our most popular features because of its bold appearance. Printed onto vinyl, our perforated film can be spread across multiple windows or cover just one rectangle. Our fade-resistant inks look stunning when on display, especially as the sunlight catches and illuminates your graphic. A perk of this film is that the perforations block a majority of that sunlight from seeping in. You won’t be blinded on the inside, and those outside will see your vibrant graphic without looking through it. If you’re looking for an option that’s easy to apply and remove, window clings are for you. They’re a great resource for companies that choose to rebrand often or perhaps come from a sales industry. Having the ability to keep updating your windows without any hassle is the key to making sure customers have a great experience in-store. You can use window clings to share business information, feature new or current products and promote upcoming sales and offers. 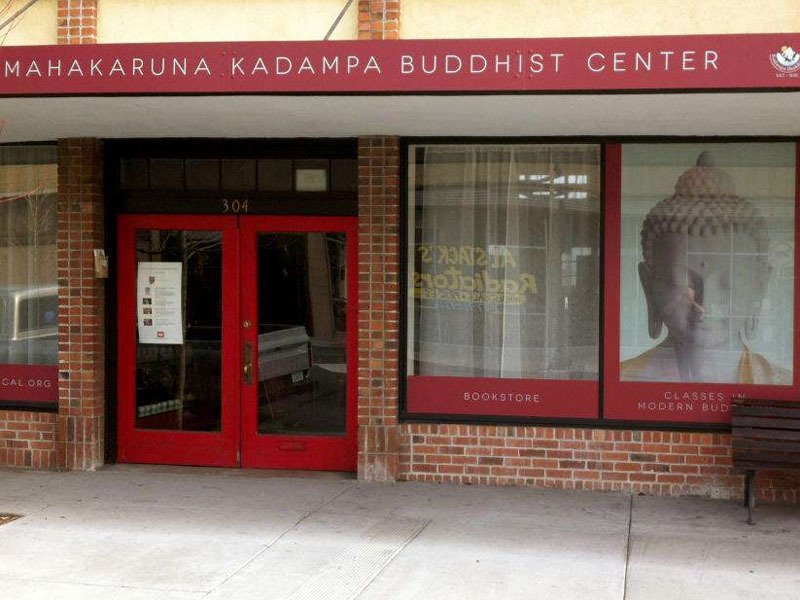 Before we begin creating any window graphics, it’s important for you to know which side you’ll be applying them to, whether that’s inside the building or outside. This knowledge will allow us to print on the proper side of the adhesive film, ensuring your graphic won’t accidentally read backwards — which definitely wouldn’t make for a good first impression! If you’re in need of a new storefront window display, call our studio! SpeedPro Imaging Portsmouth wants to help you improve your marketing methods and brand your business. Let’s set up a consultation today.